1 What was Google Glass in healthcare? 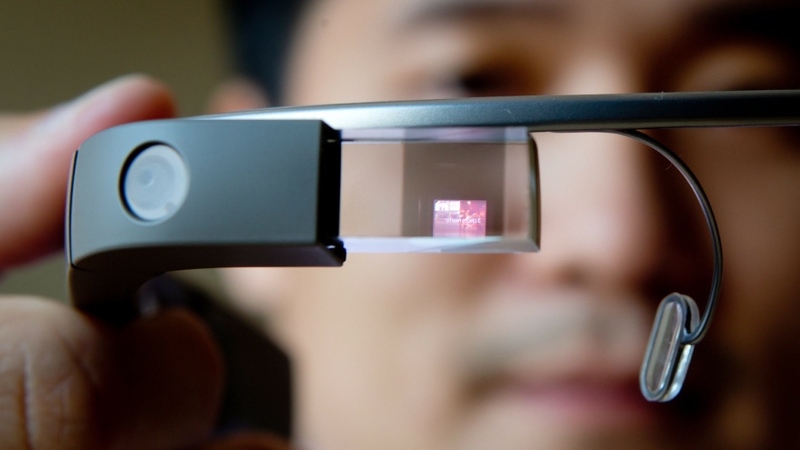 What was Google Glass in healthcare? Does anyone remember the Google glasses? No doubt it is a rhetorical question, but its function is to shoot in the mind of the reader another question: how long ago did you hear about the invention that, were going to revolutionize clinical practice in all fields? Two years ago news about the great advances that augmented reality (overlapping on this information) for medicine was going to happen, there was not a shortage of workshops in the congress where the wonders of its use were exposed. The USA, Canada and India are countries where they have continued to be used. But 2016. The news broke. Google seemed to have no greater interest in further developing the product and, consequently, “Google Glass has not supposed anything in health,” said Julio Mayol, medical director and the Innovation Unit of the Clinic San Carlos, and passionate about the use of New technologies in medicine. During the last five years, we have witnessed the device revolution. As the years pass, new gadgets appear that, applied to health, can bring multiple benefits to both professionals, patients, and medical students. For once, the technological giant founded by Larry Page and Serge Brin seems to have lagged behind. However, those interviewed by Medical Editors suspect that they are ‘plotting’ something, since it is rare that they have simply missed out on innovation in the realm of augmented reality. “The computer people told me that it was probably a strategy,” says Monte. “It is said that it is working on a new device based on Google Glass but nothing has been made public so far,” said Escandell. With regard to applications in the field of telemedicine, Grossman has spoken of his experience in the United States of America. As a physician in an eminently rural state, such as Maine, he realized that technology would play a key role in reducing costs, waiting time, and improving quality of care. According to an interview with Grossmann, one of his purposes is to train the new generations to have an interest in combining their future medical profession and the use of telemedicine. Telemedicine can reduce to almost a trillion visits, since 80% does not require any physical contact, which saves costs by preventing the patient from moving. He said that more and more satellites for telemedicine began to open, but that meant a significant expense and the consequent difficulty of maintenance, until in 2010 came the Iphone 4, with an application called FaceTime, which allowed video calls and began to use for acute trauma consultations. The phone was cheaper, comfortable and did not need maintenance, therefore an improvement. A doctor who did not know what to do with that trauma, contacted them through video and audio, and prevented errors, he said. Together with his team has been introducing technological equipment in clinical practice. From 3 to 18 hospitals connected by telemedicine throughout the state. To have a more direct contact, doctor-patient. Avoid mistakes, being able to connect with doctors who are experts in the field in an operation, improving the results and benefiting the patient. A way to learn from the users, with a more privileged view. Cloud technology and video conferencing have invaded almost every known activity. Technologies are driving change in all sectors. The ones that are most impressive and of greater importance in the long term are those that produce in the area of ​​health. One might think that an activity of as much personal contact as medicine would not lend itself to remote communication, using new technologies. But, telemedicine, continues to grow, thanks to the lower costs of technology, which are increasingly affordable for doctors and their patients. The number of people using telemedicine has increased steadily in recent years. From 2000 to 2016, 230 telemedicine companies have been established in the United States. Accenture predicts that the telemedicine industry will quadruple by 2017, with investments of up to $ 1 billion annually. In the US, it is the insurance companies who decide the future of medical and health services. Currently several medical insurance companies cover the costs of telemedicine. Those who do so place them on a par with traditional doctor visits. For example, United Health Care Today covers the services of telemedicine companies like Doctor on Demand, American Well and New Clinic. By virtue of their policy, patients pay only their normal premiums, which makes virtual medicine available to physicians and their patients. Numerous legal reforms that benefit telemedicine will make it develop in the future. Laws related to telehealth, which enable and favor telemedicine, are currently in force in 30 states of the United States. These legislations also clarify the definitions of telemedicine and telehealth in terms specific enough to cover the needs of most patients and telemedicine providers. Recent video and infrastructure technologies, based on the cloud, are some of the many initiatives that will help promote the growth of telemedicine. Examples include smart glasses (Google Glass) and smart clocks (Apple) which can monitor the health of patients in real time, and transmit them to health professionals. This allows a wide variety of health services to people who cannot leave their homes, or are in difficult access regions. Programs like Clmtrackr can analyze a person’s emotional state based on their facial expressions. They allow them to be used to monitor mental well-being. Companies that start out as Augmedix, are experimenting with transcription of documents automatically during a patient visit to a doctor. It improves the patient’s state of mind by being careful. The patient can be monitored daily. Telemedicine also streamlines doctor visits in a number of situations. As an example, take a mother who has a job outside the home, whose child suffers from ear infection. Instead of having to take time off, to take you to the nearest clinic you can, from your home, contact a doctor, using your smartphone and receive an expedited diagnosis and appropriate prescription, immediately. In other cases, telemedicine can save lives by allowing physicians to quickly diagnose symptoms of an accident victim, suggesting immediate measures to minimize further damage. For patients who cannot leave their homes or live in rural areas, telemedicine offers access to quality doctors that they could not have otherwise.